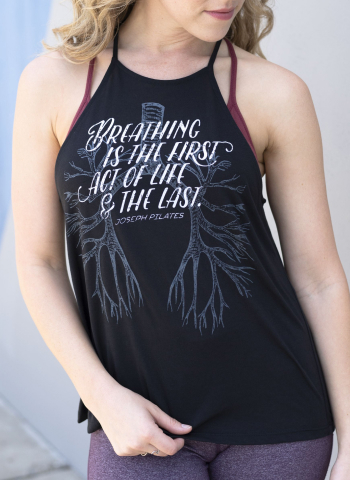 Show off your lungs in this loose-fitting tank for a comfortable fit. 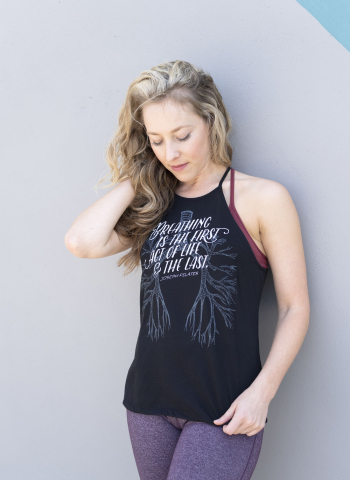 Hits mid hip to work great with jeans or leggings. Cotton/poly blend. Machine washable.